Ever get random late night cravings for yogurt-covered cranberries? 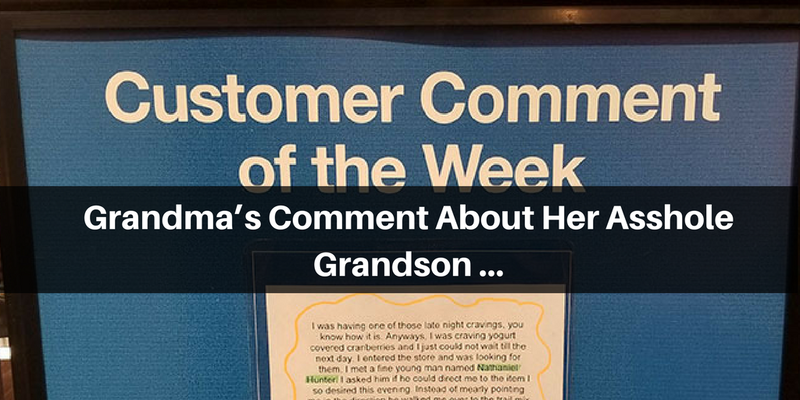 One grandma in Kentucky did recently, which is why she went down to her local Kroger store to get some. That’s where she met a “fine young man” called Nathaniel Hunter, a store employee who helped her navigate the “darned contraption” known as the trail mix machine so she could get her fix of sugary goodness. 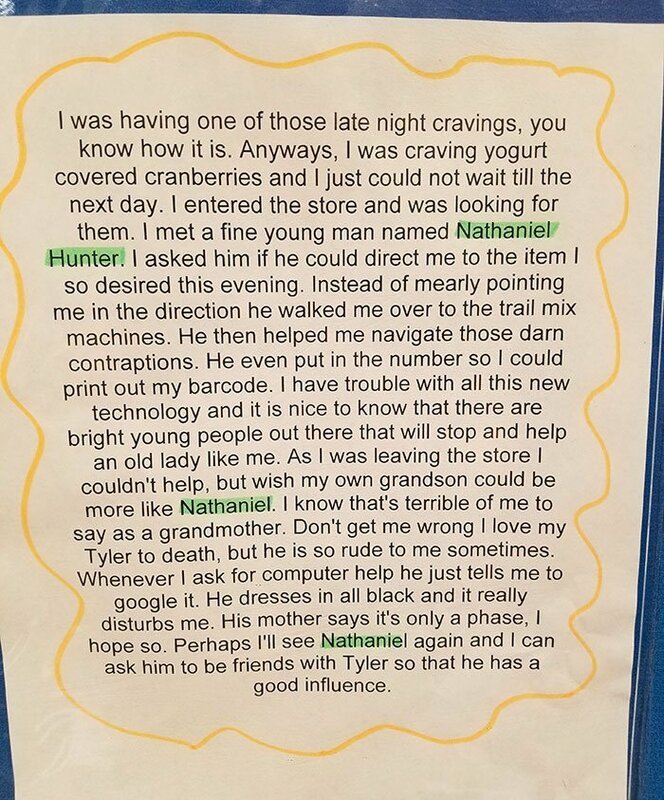 So impressed was this old lady with Nathaniel that she wrote a customer comment to thank him for his help, but as you can see below, she also took the opportunity to rag on Tyler, her own rude grandson who sounds like he could learn a thing or two from Nathaniel’s kindness and patience. 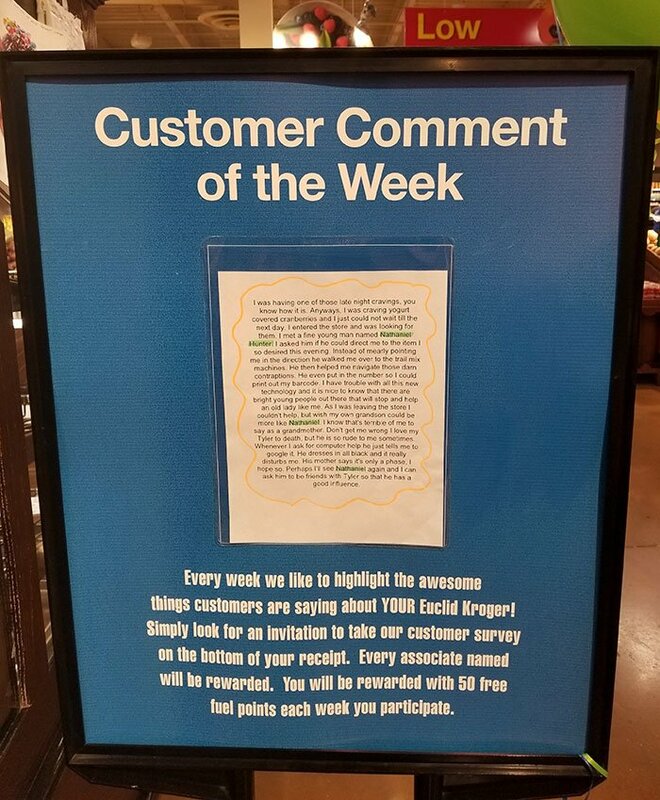 According to somebody called ChickenNuggetsIsGoodForMe, who recently uploaded the pictures, the customer comment of the week has now been up in the Euclid Avenue store for two weeks running, and it’s easy to see why. We hope you’re reading this Tyler!